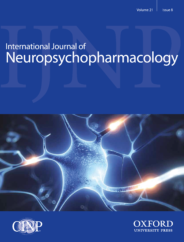 The central focus of the journal is on research that advances understanding of existing and new neuropsychopharmacological agents including their mode of action and clinical application or provides insights into the biological basis of psychiatric disorders and thereby advances their pharmacological treatment. Scientific interest in mindfulness has grown exponentially since the 1980s. Clinical researchers have been asking whether these practices—which are based on ancient Eastern (Buddhist) contemplative traditions—can be used as psychotherapeutic techniques to ameliorate depression, chronic pain, and addictive behaviour. Mindfulness is commonly defined as a way of paying attention, non-judgmentally, to one’s current experience. Despite this apparently simple definition, psychological treatments based on mindfulness meditation are often complex and multifaceted, meaning that they contain a number of distinct components that engage multiple, distinct psychological processes. For example, mindfulness interventions for drug and alcohol problems combine cognitive behavioural strategies with a variety of meditation exercises, such as the “body scan,” “awareness of hearing,” and “loving kindness” meditation. These exercises themselves differ in the degree to which they emphasise two styles of meditating: focused attention and open monitoring . Finally, these techniques and styles of meditating are practiced over a number of session in a group setting, so patients also experience a supportive environment, in which they can share experiences and learn from others. Given the multiple components of mindfulness interventions, it is difficult to parse the specific contribution of their individual elements to their overall efficacy. Some of these components might be more necessary (or more efficacious) than others. If we can determine that certain aspects of a complex integrative treatment such as MBRP have beneficial effects in their own right, it might be possible to distill these into more efficient, abbreviated treatments. We recently conducted a tightly controlled laboratory experiment in which we aimed to examine the relatively isolated effects of one style of meditating, namely open monitoring, on the response of heavy drinkers of alcohol. Since the total duration of the meditation instructions, within the experimental sessions, was only 11 minutes, we described this as “ultra-brief” mindfulness training. …mindfulness interventions for drug and alcohol problems combine cognitive behavioural strategies with a variety of meditation exercises, such as the “body scan,” “awareness of hearing,” and “loving kindness” meditation. Compared to participants in the control group, who were instructed to relax in response to alcohol craving, those in the mindfulness (open monitoring) group showed a reduction in drinking over the following week, equivalent to a bottle of wine less than the control group. Neither group showed changes in consumption immediately after the mindfulness/relaxation instructions (during a fake “taste test”), suggesting the effect only emerges after some practice. Why did you study the effects of an “ultra-brief” form of mindfulness when most of the evidence suggests you need to practice for a long time before you see any benefits? The brief nature of the audio-recorded instructions used in our study was simply a by-product of looking at only a single aspect of mindfulness, rather than a more complete intervention. Our instructions did not, for example, emphasise “focused attention” (focusing on a specific internal sensation or external object during meditation), which often precedes open monitoring. Instead, we repeatedly asked participants to “notice” what was going on in their mind and body while craving alcohol, and to simply observe and label these experiences without trying to change them. Although the participants only practiced the open monitoring technique very briefly in the experimental session, they were also given a small instruction card reminding them to practice the technique they’d been taught for the next seven days, whenever they experienced alcohol craving. What are the implications of your study for treating alcohol problems? It is premature to be considering treatment implications, but our findings do suggest that it may be worth pursuing research on abbreviated forms of mindfulness interventions, at least in people who recognise they drink too much but are not severely addicted. It seems very unlikely that such a brief approach would be effective in people with more severe drug or alcohol problems. For these individuals, more intensive treatments, including medical management along with evidence-based psychosocial treatments (e.g. MBRP) during the relapse prevention phase, will likely continue to be the preferred approach. Featured image credit: Night-life by mossphotography. CC0 via Unsplash. Sunjeev Kamboj is Reader in Clinical Psychology at University College London. He is a registered clinical psychologist and an accredited psychotherapist with the British Association of Behavioural and Cognitive Psychotherapy. His research focuses on developing and testing experimental treatments for anxiety, trauma-related disorders, and addictions. He is one of the co-authors of "Ultra-Brief Mindfulness Training Reduces Alcohol Consumption in At-Risk Drinkers: A Randomized Double-Blind Active-Controlled Experiment," published in International Journal of Neuropsychopharmacology.